This will be short, because in a few hours I’m going all the way across town to go to my wife’s PhD graduation ceremony. As part of the celebrations, we had a stay-cation on Friday night. You’ll understand the eye-catching title if you continue on. Our original plans to go out for dinner were interrupted by a big storm, so we stayed in. And we passed out early, like usual on a Friday. This meant that Saturday morning was when all the adventure would happen. Besides a nice breakfast at the George Street Diner, we walked to the St. Lawrence Market (5 minutes from the hotel). The city had recently finished renovating (revitalizing?) a park on the way which had the funniest fountain. 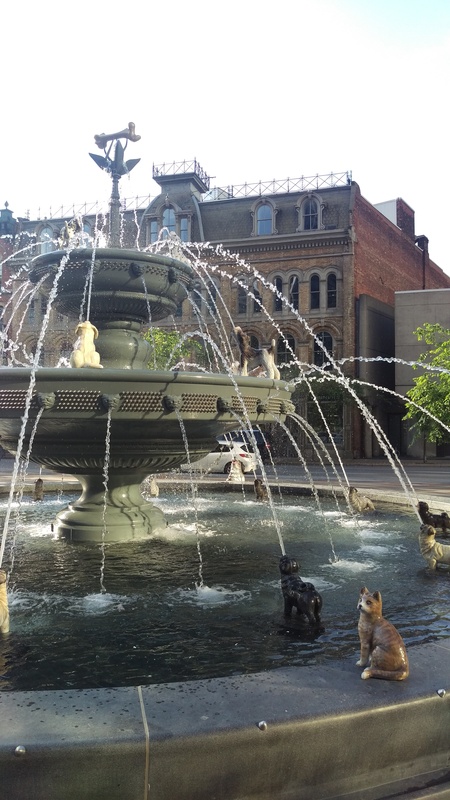 Normally I’d dislike something like this – it feels like the Dogs Playing Poker of the fountain world. 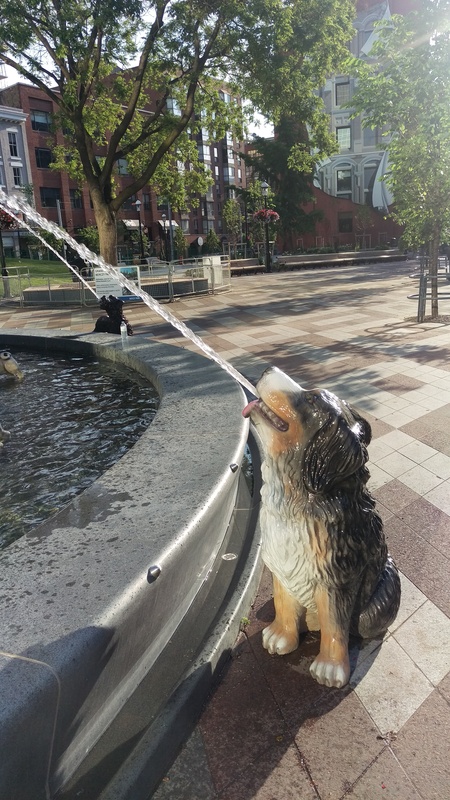 I can’t help calling it Dog Vomit fountain, as I’m sure you’ll see. 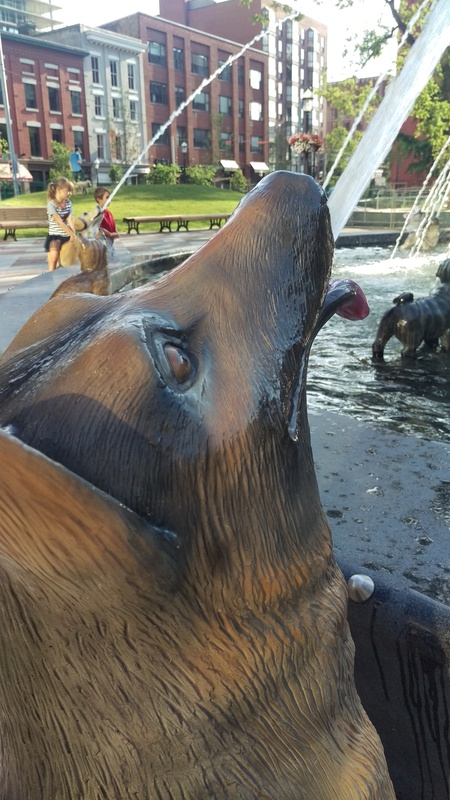 But kids were riding the dogs sitting outside the fountain. I think it’ll be a big hit with them. There was a real dog in the park, but it was standing so still, and for so long, that we were only able to tell when it moved. We managed to get back to the hotel just in time to miss more rain. We watched the Great British Bake Off until checkout, and now all I want to do is bake. Maybe I will have evidence of that later. I like how the cat us all WTF. I would be confused too. Info about ChiZine eBook sale here – only until June 21! Michael Cisco is reading on the same day (as part of the ChiSeries). I hope to understand all the fuss.